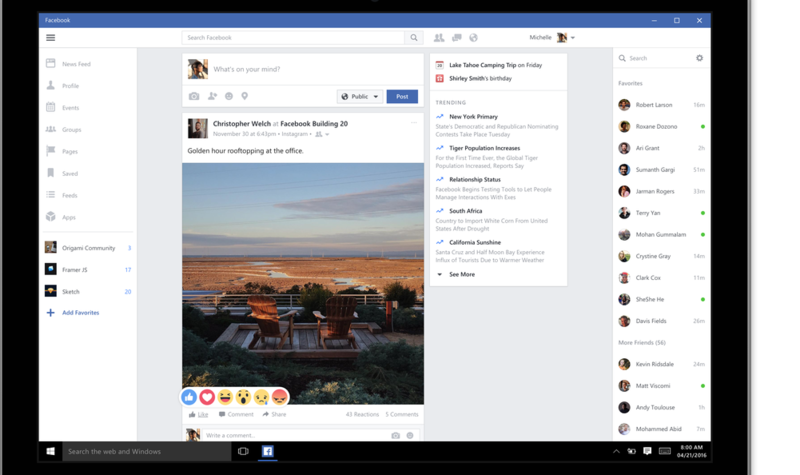 Facebook just announced new Windows 10 apps for Facebook and Messenger on desktop and Instagram on mobile. The apps, the company says, will load quickly within Windows and have the most up-to-date features. As Messenger becomes a more important tool to businesses as Facebook plans, it’s going to be increasingly critical that it gives users of all major platforms a good user experience. The same goes for Instagram. The new Instagram mobile app for Windows includes Instagram Direct, Explore and video as well as support for Live Tiles, which show you updates on your home screen.